In the past two decades, we have seen a great transformation in ways of conducting business. Many commercial organizations have set up an ecommerce website where they can sell their products and services. 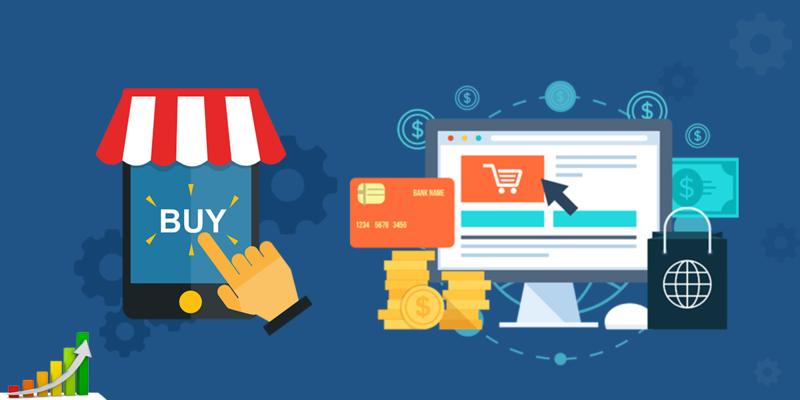 Businesses have changed from being physical to online businesses and that are insisting the entrepreneurs for efficient and dynamic eCommerce website development. Below are some of the elements that assist you to develop a progressive online business. Showcase Trending Products on Homepage: Just like any physical store or marketplace, users would prefer to check the trending products on the online store and by showcasing customer would first look for your bestseller products. Customers want to know what you are offering them, hence, showcasing trending and top selling products on your front page. It gives confidence to your customers to a purchase from your website. Proper Categorization of Products: Proper categorization eases the buying process for customers as they can go to specific a category and seek for a product that they are looking for. You can also assemble products on the basis of new arrivals, sales discounts, festivals, season or anything similar to that. You should keep replacing or updating your assemblages at regular intervals to retain your potential customers. To offer a personalized experience to every individual, you can give a list of recommended products according to customer’s purchasing behavior. Image Zooming Option: For any online store, images are the key to improve their sales, but many business owners forget to add zooming option that disappoints customers. People are very smart and don’t purchase anything without having a closer look into it. Even at a retail outlet, people examine the product before buying it. Giving a zooming option will build your customers trust and convenience them to purchase your offering. But you should be careful about the quality of images so that it won’t get blurred while zooming in and out. Shipping Information: Generally, it is important that the cart should be accessible from everywhere on your website and adding it in the header is standard practice. Also, you should offer detailed information about shipping cost. Customer prefers to shop from a store that offers free shipping, so you consider offering free shipping to attract more customers to your site. Price Filters: eCommerce standards suggest adding price filters to your online store. There are different factors that customers use to filter their search and price is the most popular one, so it is important to pay special attention to this. You need to add the relevant information if the price of product excludes the cost of shipping. The overall pricing details should be transparent and should not have hidden charges. Wish Lists: A wish list is a feature that facilitates customers to bookmark any product for the future purchase. With wishlist, you give an option to your customers a chance to maintain a list of their potential purchase. People usually find it difficult to find a previously liked product, but it helps them recall what they would like to buy. You can use this wishlist item to send them personalized reminder. Make sure the UI of your wishlist is catchy and interesting so that consumers can want to use it. Sharing Option: Nowadays, people prefer to share the product with their friends and family before making a decision on a purchase and adding a sharing feature on your eCommerce website is a big plus. Add tiny links with the share option, which won’t be having any direct impact on your website reputation but will allow your customers to share products with others. As many people use smartphones to browse website and shopping, your website should be responsive or mobile-friendly. Giving Contact Information: Before purchasing from any website, users look for an option of customer support or contact information. It is a good practice to show contact information on the website, as it helps you gain the customers’ trust and build a long-term relationship. Chat or Feedback Option: Many e-commerce websites follow the practice of adding a chat option. This way, customers can directly raise a query to you and if your website doesn’t have an option for a chat, you can give feedback form to which you can acknowledge as early as possible. If you are implementing feedback option, you need to monitor feedback on a regular basis and have to send satisfactory replies. Reviews and Ratings: People believe in their co-customers; hence, they prefer reading reviews from your customers. Customers not only buy your products, but they also refer it to others. The positive words of mouth can help you to build a strong customer base. In conclusion, you can boost your website by implementing website development by hiring ecommerce companies in Chicago and across the region. All industries are changing every day and online business is no exception. To run your online business successfully, it is very important for you to keep yourself updated about the latest trends and incorporate them in your website.